Home / UncategorizedTips to design your Home Beautifully!! Tips to design your Home Beautifully!! Home decoration and designing is always a subject matter that some choose to just pass. While others are feeling the importance of it, others claim that it is just an added expense. 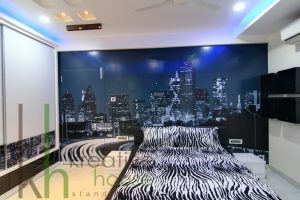 But once you get to experience a home with such nice colors, design, feel and ambiance, you will realize how good it feels and you would just want to talk to the best interior design companies in India and have the beautiful home you have always wanted. It is not always about money, it is about the joy, comfort and happiness that you experience every time you open the door of your home. 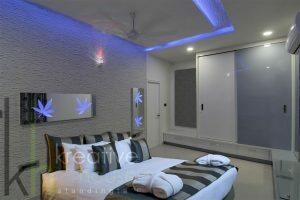 We kreative house one of the leading Architecture and interior design company India Would like to share few interior design tips that make your home look beautiful and elegant. Both proportion and scale are important in interior designing. It is important to use furniture pieces that complement the size of the room you are designing for. There are specific measurements for decorating that make a room look better. Coffee table distance: Apartment Therapy suggests to keep at least 15″ between coffee tables and sofas. Hanging art: When hanging art, keep its center at eye level, which is generally 56″ to 60″ from the floor If you’re hanging multiple pieces of art, keep the center point of the whole arrangement at this level. When hanging art above your sofa, make sure it’s no more than 2/3 the width of the sofa. You’ll also want to leave 5-9″ of space between the art and the furniture. All on: If a rug is big enough, you can put all legs of your furniture on top of it. Decide how you want to use the room, then create a focal point accordingly. For example, if you want to use a room for reading, you’d make a bookshelf your focal point. Simply you can also use a large piece of furniture as a focal point. Once you find the focal point, decorate around it. Use its main color in elements throughout the rest of the room. The lighting in a home changes the mood of a room just as it does the perceived size of a room. Placement and type are important aspects of interior design, and they work in conjunction with color selections, room size, availability of natural light and furniture selection. The elements that come together when the right lighting is achieved transform a room into a seamless combination of functionality and style. Ambient: It’s also called general lighting, and its the overhead lighting meant to evenly illuminate a room. Task: As its name suggests, task lighting is meant to light a specific task. A lamp in the living room might light a reading area. Under-cabinet lights in a kitchen serve as task lights for counter tops. 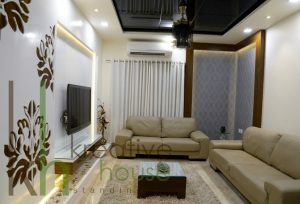 Adding different types lighting can give your room dimension. Start with ambient lighting in each room, and then consider how you can use task and accent lighting. In Interior Design, positive space is the space taken by your furniture and decor, on the floor or on your walls. Negative space, conversely, is the empty space around and in between those pieces of furnishing. And the word “empty” is important: we didn’t say invisible! And because it is not invisible, it has, like everything else in your home, a big impact on how you feel in your living room or bedroom and how you experience them. Make sure the negative space serves a purpose. You might leave a space empty to highlight a decorated area nearby. Or maybe the negative space creates an interesting design. Beyond these basics, you’ll probably also want to make your home look like your own. These guidelines help you get started, but you should adjust your decorating according to your own tastes and preferences. 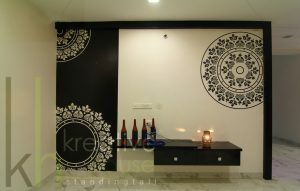 ← Beautiful Wall Partition Design Ideas for Your Home! !